The Bristol International Balloon Fiesta is now in its 36th year and is Europe’s largest ballooning event. It’s a spectacular, free, 4 days of fun for the whole family. 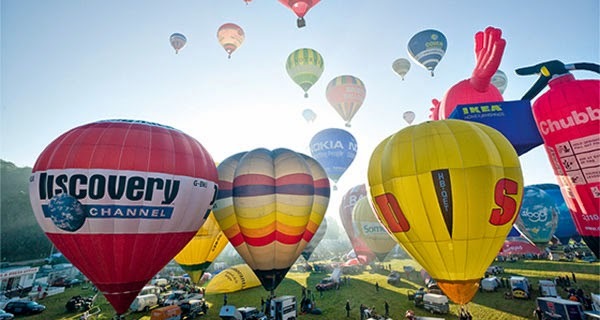 During the fiesta over 150 hot air balloons will take off from Ashton Court Estate, featuring the ‘Breakfast and Balloons’ event and the light up of the skies at night with the famous or Nightglow. The event features colourful hot-air balloon displays, attracting over half a million visitors to the scenic grounds of Ashton Court. Balloons of all shapes and sizes lift off over the City of Bristol as well as taking part in various ballooning competitions including who can reach the furthest point in a set time or landing challenges. There is entertainment for all the family with fairground rides, delicious food stalls and bars, face painting, arts and craft fair, dance stage, arena entertainment, the world famous Red Arrows and a local talent music bandstand.